Great location for us - very clean and comfortable- everything to hand in the kitchen. Everything. A fantastic studio apartment. 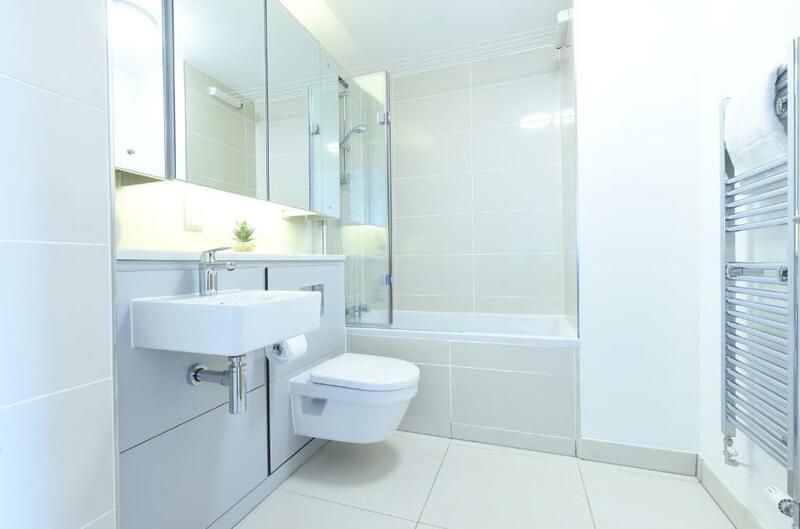 Spacious, lovely bathroom, great hanging space, tv and comfy bed and pillows. Fantastic location on the northern quartes. Will defo be staying again if i get another good rate. The building is secure in a prime location. Super clean. The staff emails were efficient i could not fault my visit whatsoever and will be booking again. My first experience with Urbana Apartments wasn’t the most pleasant as there was a mix up between the platforms of booking.com and Urbana. I was offered the chance to stay here again for one night. I stayed in apartment 13. The service apartment is in good condition and offers what is needed for a decent stay away from home; it’s modern and tastefully decorated. The common kitchen and lounge area is great. Nice large TV and plenty of space. The wifi was of high speeds. The bathroom was clean and plenty of fresh clean towels were offered. Tea a coffee facilities are also provided. Overall, Urbana apartments offer a good value for money services. I will return back for another stay. Lovely looking apartment. Very comfortable. All mod cons. Very reasonably priced. Location was excellent and the staff member I dealt with was very helpful. Easy check in. Great location. Comfortable and clean room. Lock in a great price for Urbana Apartments, Northern Quarter - Manchester - rated 8.9 by recent guests. 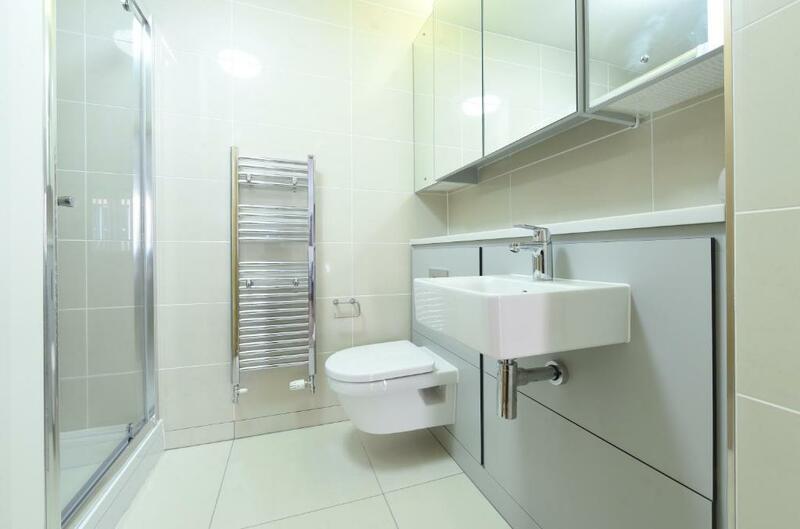 Set in Manchester, Urbana Apartments, Northern Quarter - Manchester features free WiFi and units equipped with a kitchen. The apartment offers a seating area with a flat-screen TV and a private bathroom with a hair dryer and shower. A dishwasher, an oven and microwave are also featured, as well as a kettle. 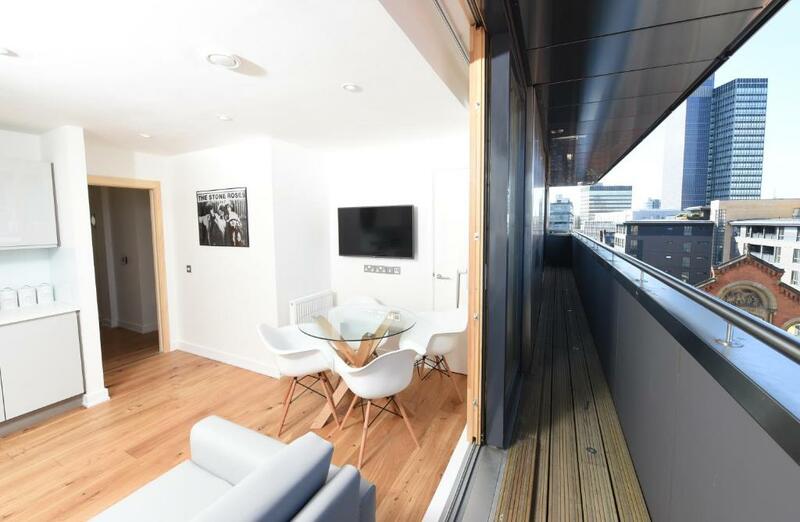 Greater Manchester Police Museum is 450 yards from 1E Northern Quarter 2bed sleeps 6, while Manchester Arena is 1.1 miles from the property. 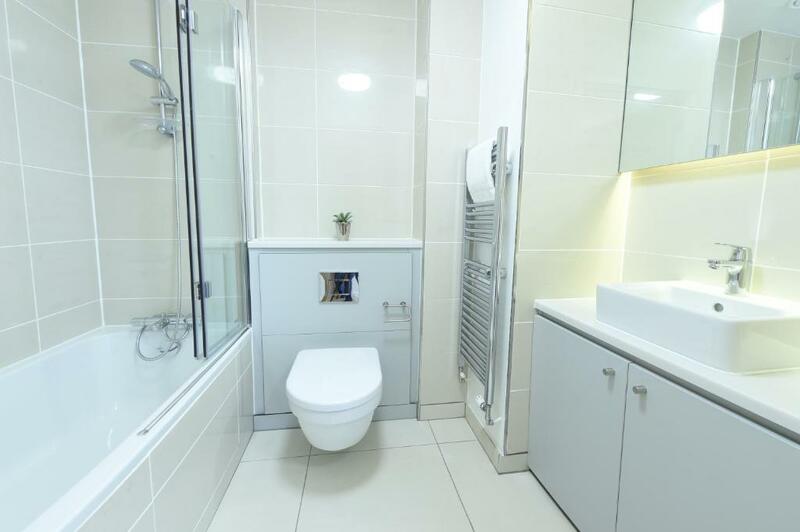 The nearest airport is Manchester Airport, 9.9 miles from the property. 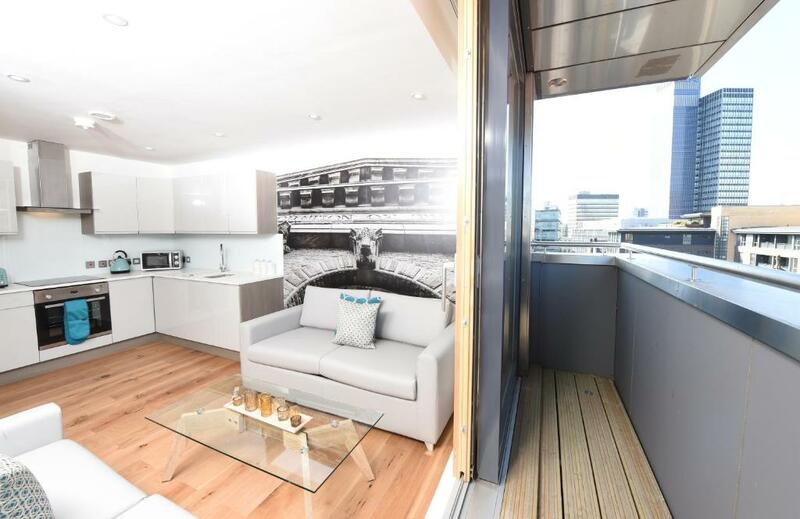 Urbana Apartments, Northern Quarter - Manchester has been welcoming Booking.com guests since 30 Jun 2017. 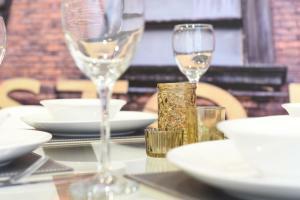 When would you like to stay at Urbana Apartments, Northern Quarter - Manchester? This apartment has a kitchen, washing machine and microwave. This apartment features a oven, dishwasher and dining area. This apartment has a microwave, dining area and stovetop. We have exclusive use of an amazing apartment block which is on one of the coolest streets "Edge Street” in the vibrant and exciting community that is the Northern Quarter. The Northern Quarter is famed for its independent shops and boutiques, where you can pick up designer or retro clothes, rare vinyl’s, collectible comics, unusual furniture and superb art. Today it is equally famed for its social scene, with the beautiful restaurants, cool bars, quirky coffee shops and city spas, pulling many young professionals to live in the beautiful old buildings that line the streets. The joy of the Northern Quarter is that it provides a central base to explore the whole of the city and beyond. There are 14 unique apartments over 5 floors offering, we worked with one of the best interior designers in Manchester to make all of our places a little bit special. 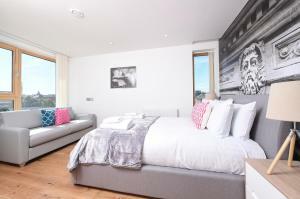 The apartments are professionally cleaned and come with fresh towels and linen for each guests. It really does come with everything and is much better compared to a hotel. 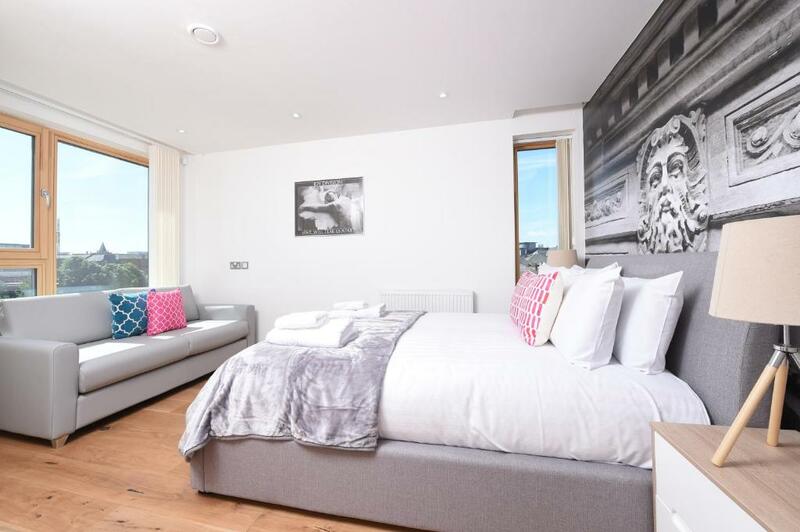 Urbana have been running serviced apartments since 2014 and have received fantastic feedback from guests, many of whom have become regular guests. The Northern Quarter is a fantastic part of town with lots to do, there is lots of choice for independent restaurants, tourist attractions, major and independent shops all within walking distance. House rules Urbana Apartments, Northern Quarter - Manchester takes special requests - add in the next step! Not the apartments fault-but you can hear other guests alot.. from slamming doors, to talking and to the couple who decided to have a domestic at 4.45 am (thank you to you lovely loud people!!). But like i say no fault of the apartment-just close together apartments. Top tip: earplugs required. Excellent value for money. Lovely location. No cafetière to make coffee!!! Blinds on the windows were almost non-existent making it very hard to sleep with all the street lighting coming though. Block was very noisy with people partying in the apartment underneath until 4.30AM. All that combined with an uncomfortable bed meant I barely slept. I stay in a lot of apartments throughout Europe. This was one of the best. The location of this property was excellent. It is right in the heart of a funky neighborhood with lots of restaurants, taverns, and small shops. It is closer to Manchester Victoria station than Manchester Piccadilly station, but you can walk to both. I recommend the restaurant, "The Patron" for excellent food and drinks. There is a small grocery store around the corner to shop. The apartment is very clean, the shower and kitchen are great. There are all the kitchen utensils there. I do not think there was a hair dryer though. WiFi is good too. The lighting could have been better , the free-standing lamp didn’t work so we had to have full-beam in the living room. Bit of a mix-up when we left, had a call to say the keys hadn’t been returned (they had) - two hours later they found them with the cleaner . By way of compensation was offered a 20% discount on the next stay . On the negative side, no toiletries were offered in the bathrooms and there isn’t a blow dryer. The master bedroom mattress needs replacement. The pillows are all soft; please offer hard and soft options. 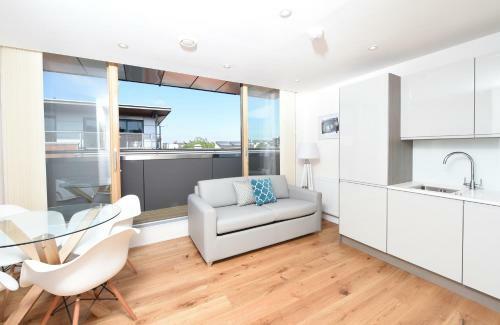 The location of the apartments is great; in the heart of NQ. However, it can be noisy at times.